Wondering what to do for Father's Day this Sunday? Forget the ugly tie and give Dad what he really wants: delicious BBQ. 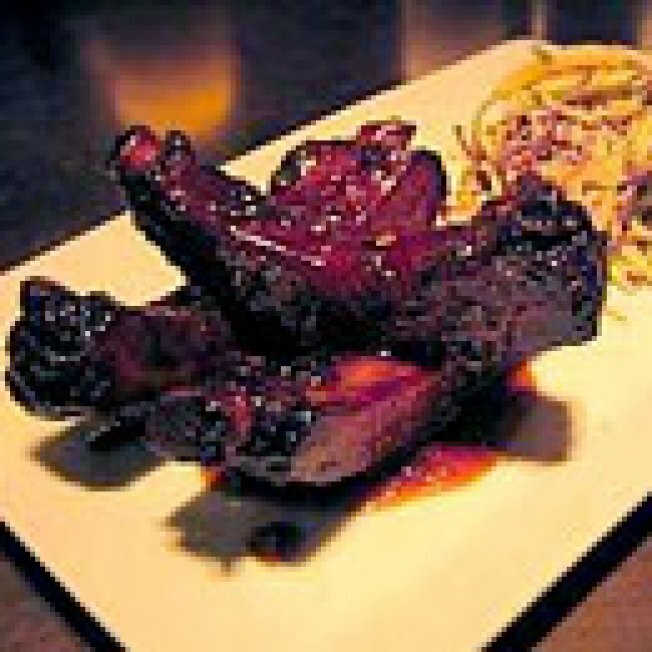 Oola is offering a "Ribs n' Beer Special" on Sunday evening that consists of a heaping plate of crispy ginger-and-soy-glazed baby back ribs, red cabbage apple slaw, and a pint of beer, all for $20. Oh, and the ribs are braised for hours before they're deep fried. That's right, fried. The ribs themselves usually cost $26, so this meal is definitely a steal. And didn't Dad teach you that a penny saved is a penny earned? Oola can be found at 860 Folsom Street between 4th and 5th in SoMa. Call (415) 995-2061 for reservations.